PENSACOLA, FLA - Experts at Hy-Lite recommend that National Curb Appeal Month in August is a great time to look at your home through the eyes of other people. "Every aspect of your exterior blends together to create the curb appeal impression your home makes on family, friends, neighbors and potential buyers if you're selling your house," says Laura Sikes, marketing and national accounts manager at Hy-Lite, a U.S. Block Windows Company. "Decorative privacy windows can play a strong role in creating great curb appeal for your home while serving your need for privacy on the interior of your house. "Acrylic block and decorative glass windows are as beautiful on the outside of the home as they are on the inside. 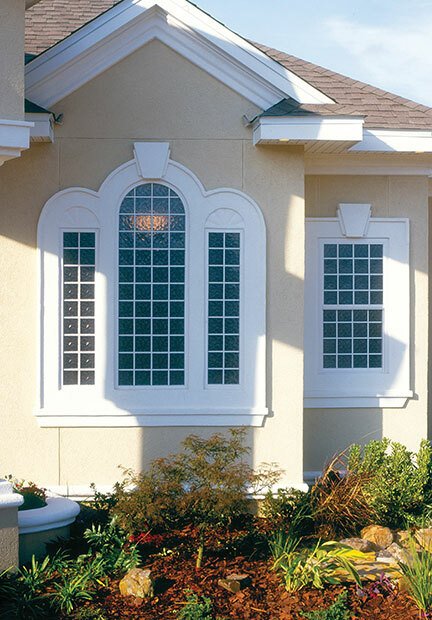 Whether it's obscure block windows or designer glass windows, these units increase the curb appeal of the home. Plus, you get privacy features and the beauty of the windows when you're inside your house." Sikes says that homeowners should strongly consider the "Three C's of Curb Appeal" --- which are clean, clutter free and colorful --- when evaluating their home exterior during National Curb Appeal Month. "August is the perfect time of year to power wash your driveway and sidewalk, clean your windows and even your siding," says Sikes. "To de-clutter your home exterior, put away excessive yard art, children's toys and even thin out your bushes. Then, to add color, consider adding flowers in key landscape areas, decorative flags and repaint your shutters, trim and front door." When it comes time to replace existing windows, Hy-Lite can help with their free Privacy Window Design Guide. The brochure provides design inspiration, room transformations and a complete overview of the company's operable and fixed acrylic block and decorative glass windows. To receive the free guide, call 888-256-2599 or visit www.hy-lite.com to download for free on the literature page.